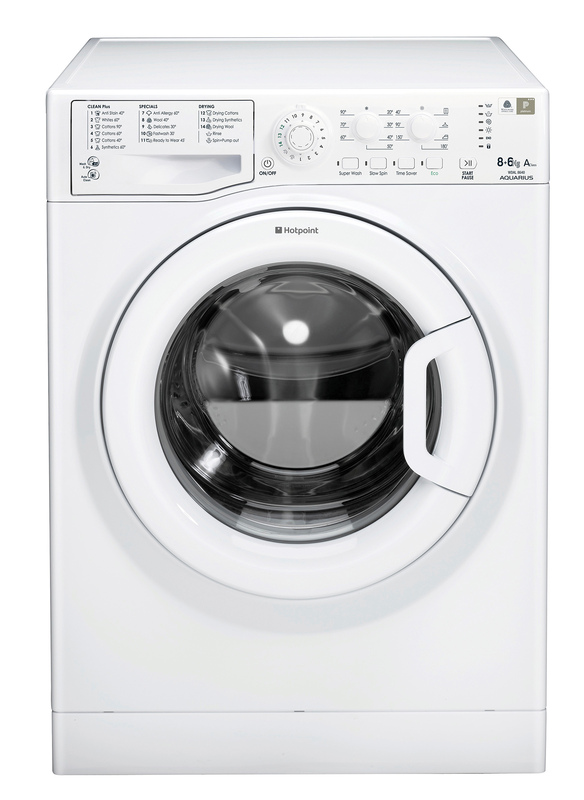 Enjoy great washing power, stain removal and dedicated tumble drying settings with the Hotpoint Aquarius Washer Dryer WDPG 8640P UK. Remove 20 of the most stubborn everyday stains in one wash without pre-soaking. 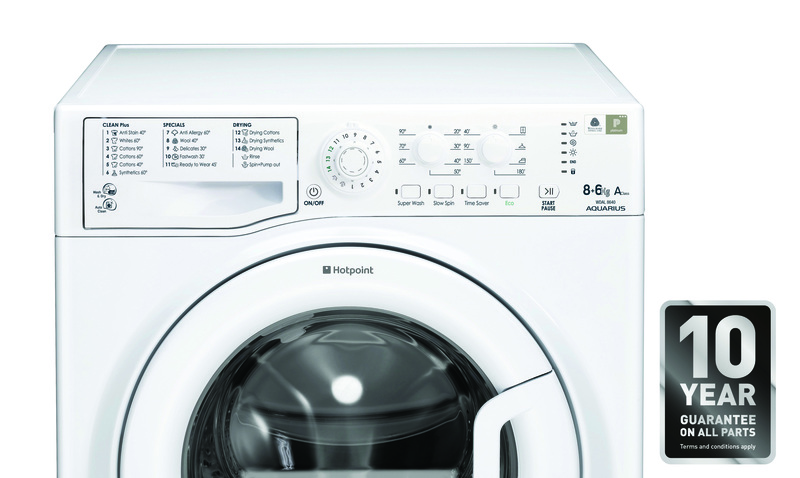 Through cleverly managing detergent, saturation, temperature and drum rotations, Hotpoint's Anti-Stain Technology frees you from pre-treatments and expensive chemicals, whilst delivering the same great, cleaning results. Understanding that you sometimes need to wash in a hurry, the Ready to Wear function washes and dries your clothes or linens in just 45 minutes with the same great results as a longer cycle. For those who suffer from sensitivity to pollen, dust and pet dander, this model includes an Anti-Allergy wash and rinse cycle, so effective it removes 99.9% of major allergens and has been awarded the Allergy UK Seal of Approval.